Activity lasts 4 or 8 hours. There are several pontoon boat rental places on the highway near the beach, leading into Destin, Fla. Usually they also have jet skis, power boats and about any other kind of water craft you might want to rent as well. With a pontoon boat you may traverse the inter coastal water way - the safest area - for fishing, diving and just relaxing on the water. The ocean is also nearby, but one should exercise caution there if you do not have experience with boats and the ocean currents. Pontoon boats usually have some room, and can seat at least 12 people. Often people take them out just for a party or for having a nice time on the water. You may rent one for half a day or a full day. 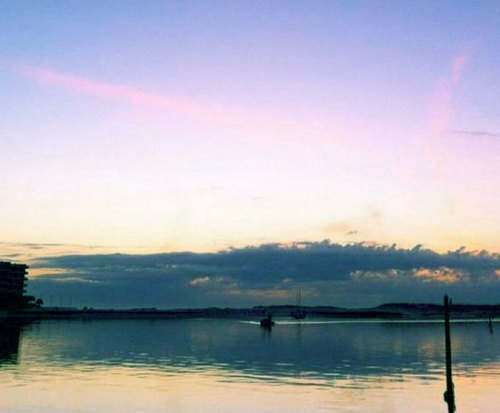 People also often fish from the boat, go swimming or snorkeling in the water. 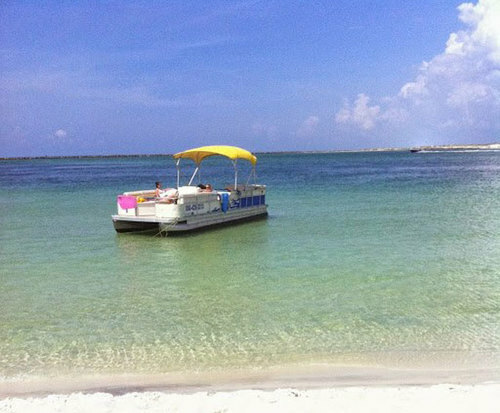 Crab Island is a short distance away and many pontoon boat users go there for an outing on the boat. The rental companies can help you store your gear, coolers and food. The pontoon boats usually have a stereo and some have a grille, but most people wait until they are on crab island if they are going to have a cookout. Pontoon boats are easy to use, and the owners will show you how. They are about the easiest boat to use, and with a pontoon boat rental you can easily get out on the water for some summer fun without having to own a boat, or having to know very much about how to make it work. It is also the least expensive way to get out on the water if you are visiting.